Dozens are reportedly dead in Yemen, including at least three civilians, as the result of a series of drone strikes that started in the southern part of the country on Saturday and is alleged to still be occurring two days later. By noontime in Washington, DC on Monday, the Associated Press reported that 55 Al-Qaeda militants were among those that had been killed in an hours-long series of strikes that targeted a training camp operated by the group, according to Yemen's interior ministry. 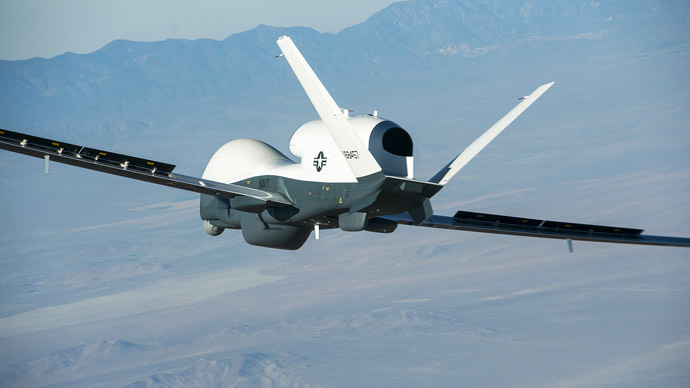 The United States is alleged to have carried out the strikes using unmanned aerial vehicles, or drones, but does not legally have to acknowledge any operations conducted by its Central Intelligence Agency and has not commented. Among the 55 believed to be killed in that series of strikes, the AP reported, were three senior but unnamed Al-Qaeda leaders. The AFP also corroborated that claim by reporting that witnesses on the scene in Shabwa province early Monday said three alleged militants were indeed killed when a missile struck the car the men were traveling in that morning. At the same time on Monday, an anonymous Yemeni government official briefed on the strikes told CNN that the strikes had yet to cease and that at, by his count, at least 30 alleged militants had been killed. Statistics regarding the death toll remain fluid, but preliminary reports concerning the strikes suggest that the number of those killed since Saturday is in the dozen. Yemen's Saba news agency reported that a drone strike in the central province of Bayda on Saturday killed 10 suspected militants and three civilians. 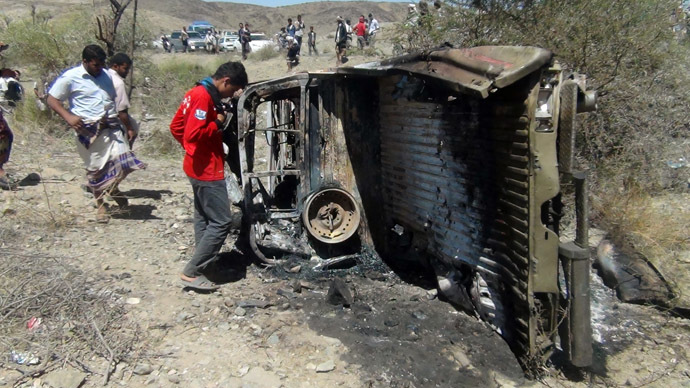 A Yemeni military officials added to the AP that a car carrying the alleged militants was struck by a missile as it drove by a vehicle carrying civilians, and an eyewitness who survived the attack said a second strike occurred soon after. Three civilians were injured in addition to those slain in that attack, the AP reported. "Minutes after the first attack, a second attack took place, killing three of my friends," eyewitness Salem al-Kashm told CNN after. "The drone then kept going in circles after the attack to ensure that none of the militants were able to escape." On Sunday, US drones reportedly targeted an Al-Qaeda training camp in the nearby province of Abyan and killed another 30. The US has unofficially paused its drone strike campaign in Pakistan, as negotiations continue between the Pakistani Taliban and the nation’s government. Yet strikes in Yemen have not stalled – nor has the official secrecy of the US that has marked its drone operations there. In December, a US drone strike killed 15 members of a wedding party, mistaking a procession of vehicles for a militant convoy. The group had been en route to the village of Qaifa, the site of the wedding, when it was hit. The assault left charred bodies strewn in the road and vehicles on fire, officials told AP. In an unusual acknowledgement, the US said its military was responsible. 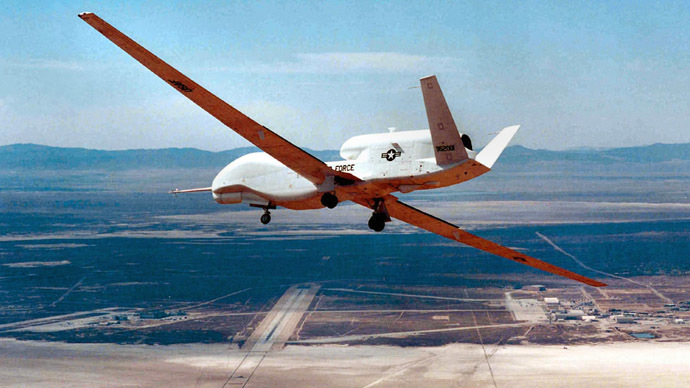 Specifically, it was the Joint Special Operations Command, which, besides the CIA, is the only other entity using drones in Yemen. But after its own investigation of the incident, the US maintained that no civilians died in the strike. 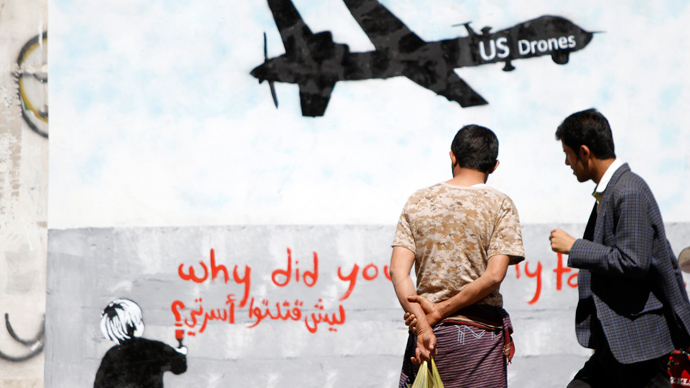 Last October, Human Rights Watch released a damning report on US drone strikes in Yemen. It described six of the total of some 80 targeted killing operations in the country. In those six attacks, 82 people were killed, 57 of whom – or practically 70 percent – were civilians. The Bureau of Investigative Journalism, which diligently analyzes each US drone strike, has confirmed that drones have killed as many as 451 people in Yemen, including as many as 82 civilians. "Possible" – though unconfirmed – strikes have killed as many as 545 people total and as many as 45 civilians, the Bureau says. Yet the US strike policy is so broad that it considers any military-age male in a strike zone as a combatant, especially if he is armed. Thus, even by the strictest standards, there are likely many more civilians who have died but were considered fighters or militants. In addition to the high civilian casualty rates, critics say these drone strike policies are done in violation of international law, and question whether the Obama administration has the authority to sanction the killings without a court warrant. 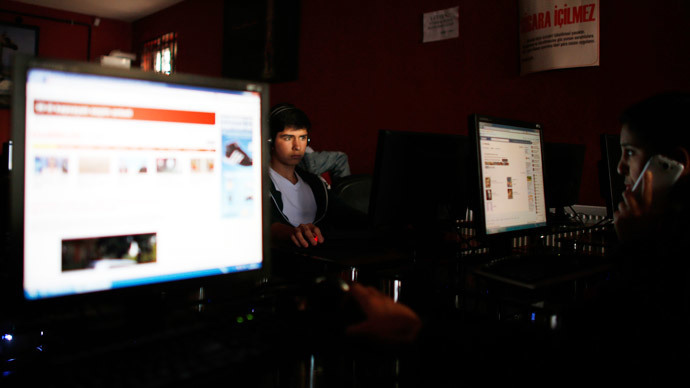 One particular practice denounced by human rights activists is the use of so-called ‘signature strikes,’ in which a drone attack is launched based not on the identification of known Al-Qaeda fighters, but on the behavior of people. In May 2013, amid criticism about US drone strikes overseas, President Obama said in a policy speech that “before any strike is taken, there must be near-certainty that no civilians will be killed or injured,” adding that this is “the highest possible standard.” Though the latest strikes, among others, have caused analysts to question whether the Obama administration’s supposed “new rules” for strikes are consistent at all. Yemen is considered to be the Al-Qaeda in the Arabian Peninsula (AQAP)’s main foothold of what is deemed the most active wing of the militant network. The Yemeni government has asked the US for assistance in fighting terror threats, yet the entirety of negotiations between the US and Yemen is unknown. 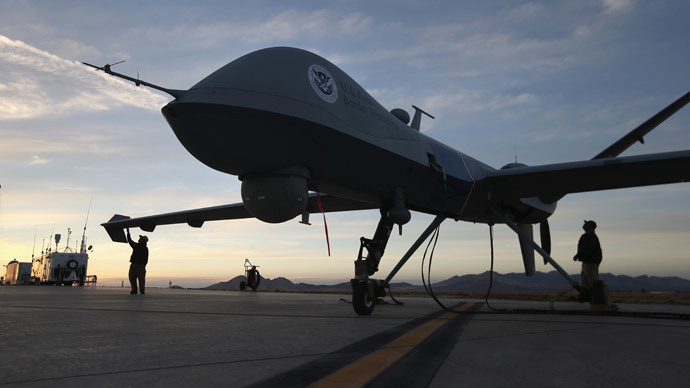 Critics maintain that the drone strikes program in the country has done nothing to stem the growth of Al-Qaeda, and has even increased support for the terror network.